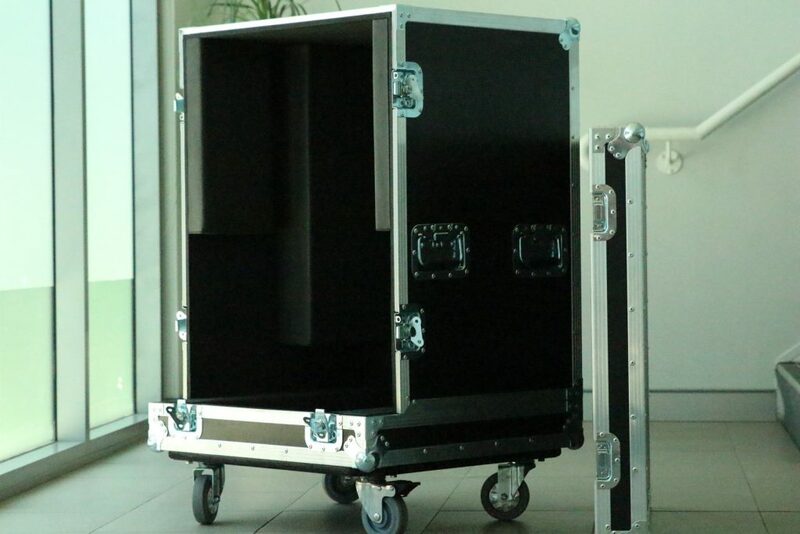 This road case is for CELLAVISION, in Sydney, for their DM-9600 machine. 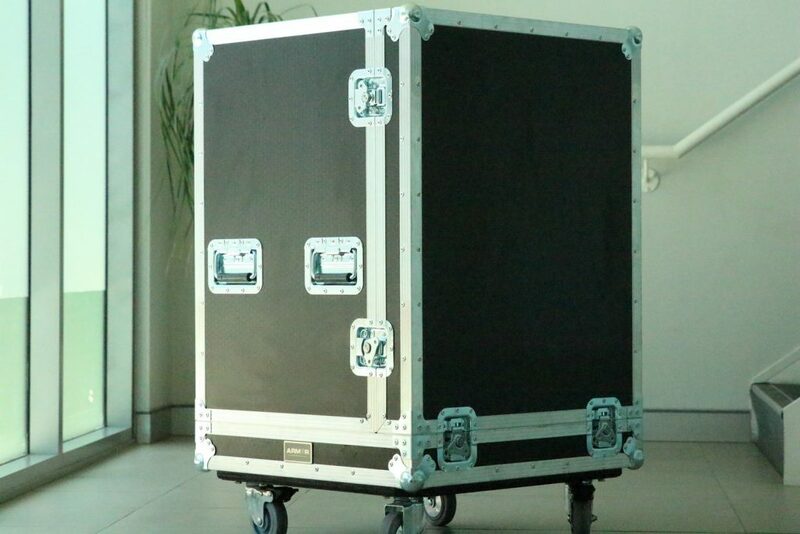 It is a strong case made from plywood, of 9mm thickness, with black PVC finish and 1.5mm thick aluminium extrusion. All of the sides of the case are lined with 10mm broad EVA foam, except the bottom, which is padded with fragments that are 40mm wide. We, further, included PE foam inserts to the lid’s interior to fill the gap above the handles. 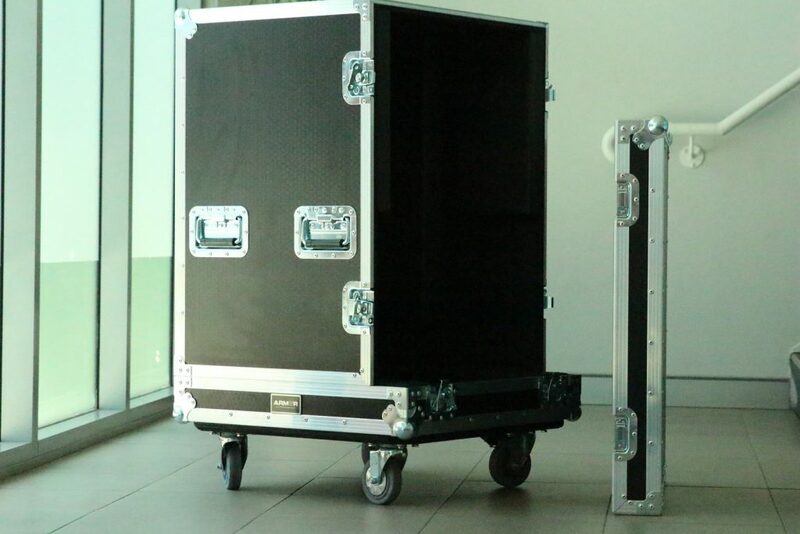 Top plate castors were also put on the case for easy mobility. 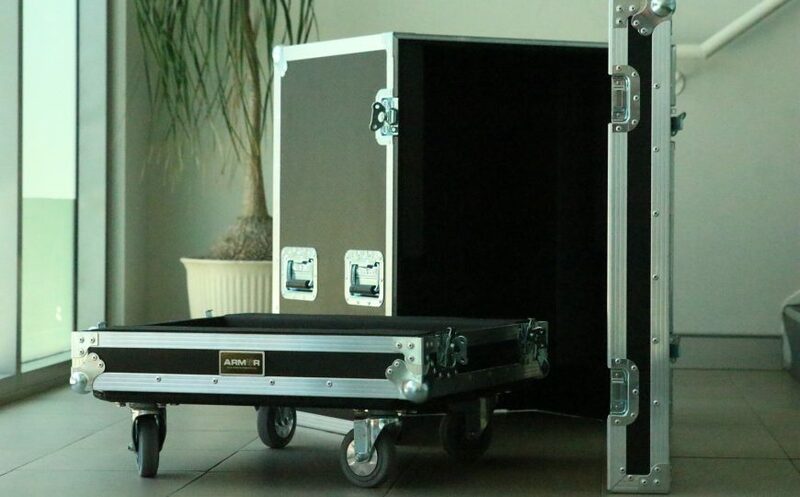 The DM-9600 is a big unit, so our goal was to create the most user-friendly case possible and one, that can become undone by a single person. Thus, we built it with an irregular split lid, also known as, clam shell style. As you can see below, one of the top pieces is smaller than the other, so that whoever has to open the case, can take off the smallest part first and then remove the second one, which will be able to stand on its own, because of its bigger size. 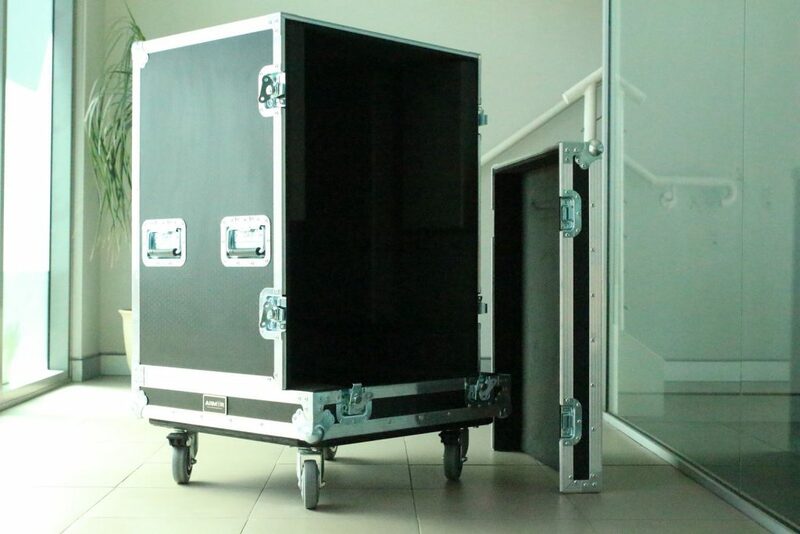 Another reason that the case needed a lift-off lid, is the fact that the specific CELLAVISION equipment has handles on its sides, so our client needs to have effortless access to them, in order to be able to lift the unit off the base.